We’d been experimenting with a peanut bar, peanuts being a popular product with the American people,” said Hinkle. “We decided we’d better use Spanish peanuts rather than Virginia peanuts. We came up with this Spanish peanut, a small round peanut, and we left the little red shell on the outside. We called it roasted, but we really were frying the peanuts in fat and combining them with our milk chocolate. We began to think about a name. Actually, it was Mr. Hershey who really came up with the name. 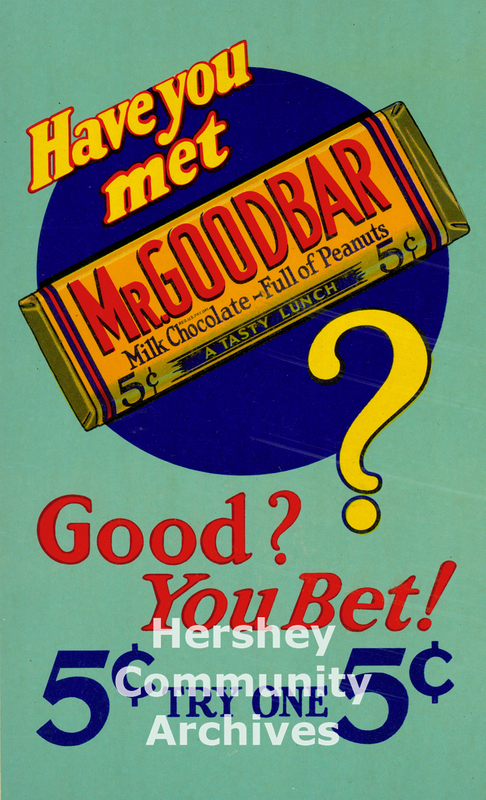 Someone said, ‘That’s a good bar.’ And his (Mr. Hershey’s) hearing being a little bad, he thought they said, Mr. Goodbar. 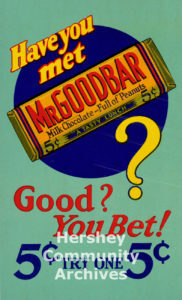 So he named it Mr. Goodbar.